Santa Fe style! Oh so good! First we will make the grilled style corn. 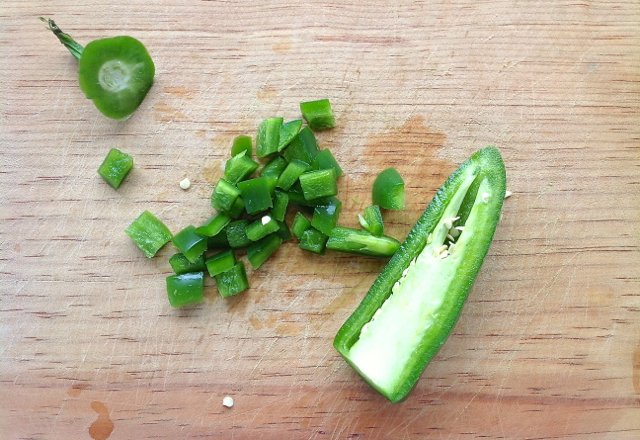 Chop up one jalapeño pepper. 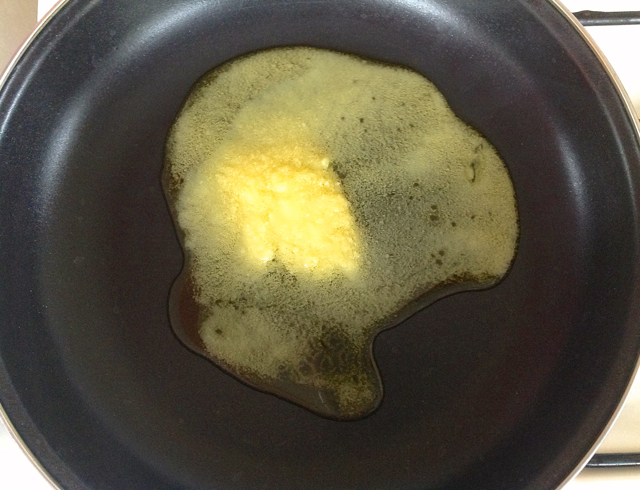 Heat the ghee in a flat frying pan on medium high flame. 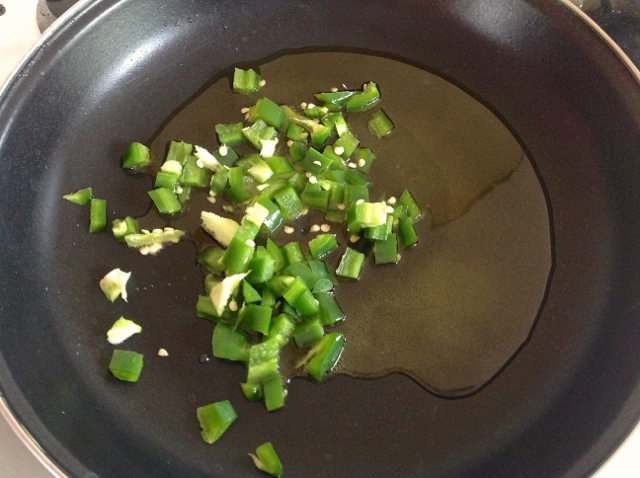 Add the chopped jalapeño and fry for about a minute. 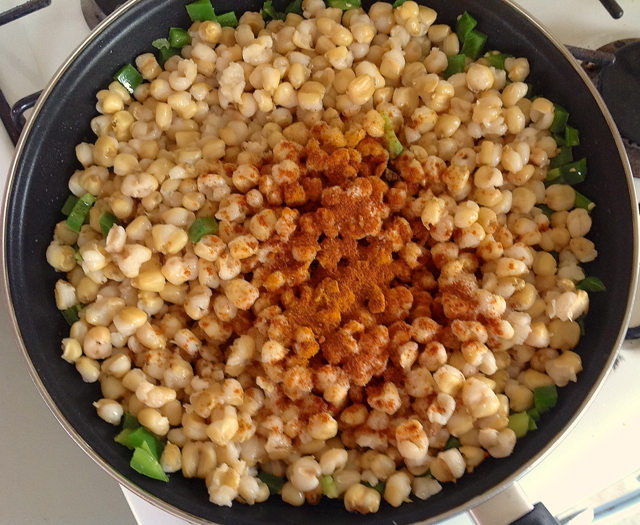 Then add the cooked corn and remaining spices. 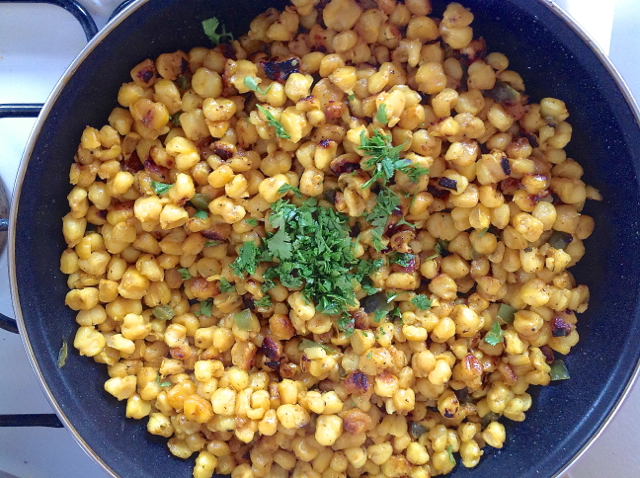 Cover and cook until the corn has become a little blackened from the charring. About 10 minutes. 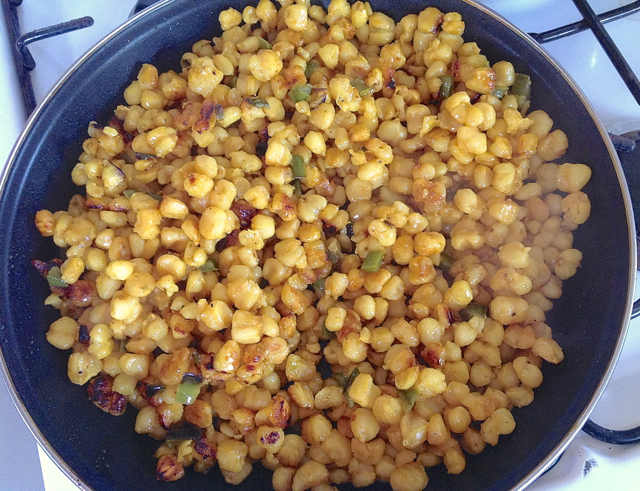 When it is done, turn off the flame and add some chopped cilantro. Cover the corn with a lid and set aside. 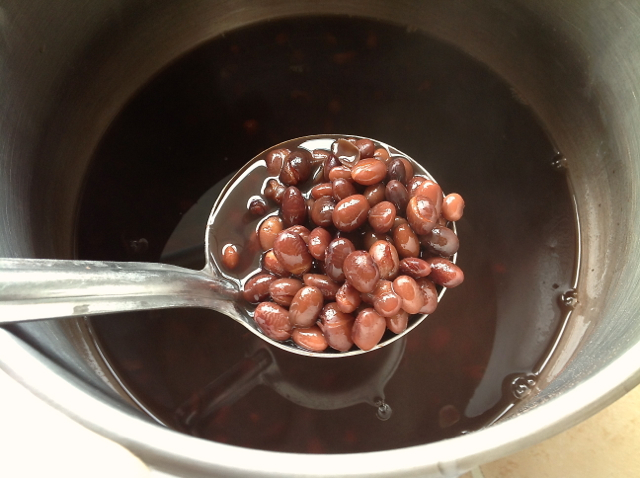 Now it is time to make the black beans. 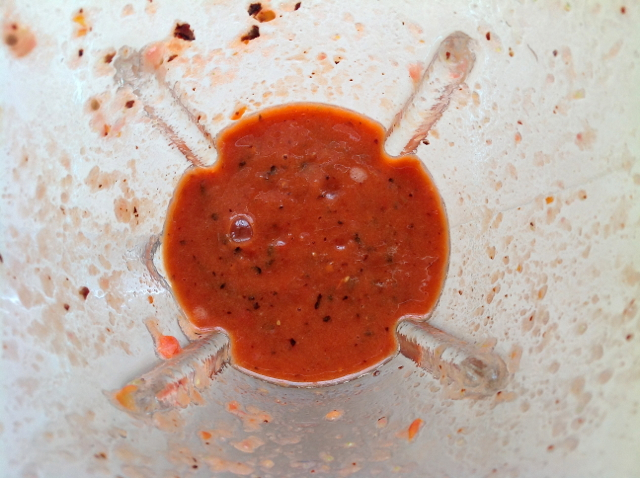 Add the following ingredients into a blender. 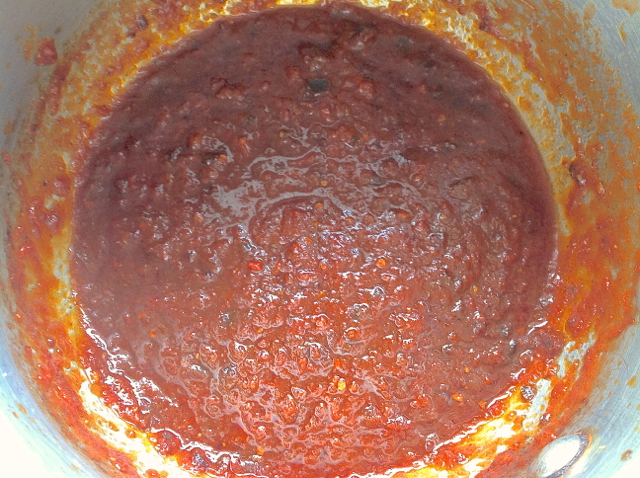 In a sauce pan add the ghee, tomato sauce and all remaining spices and cook on medium high flame for about 8 minutes. 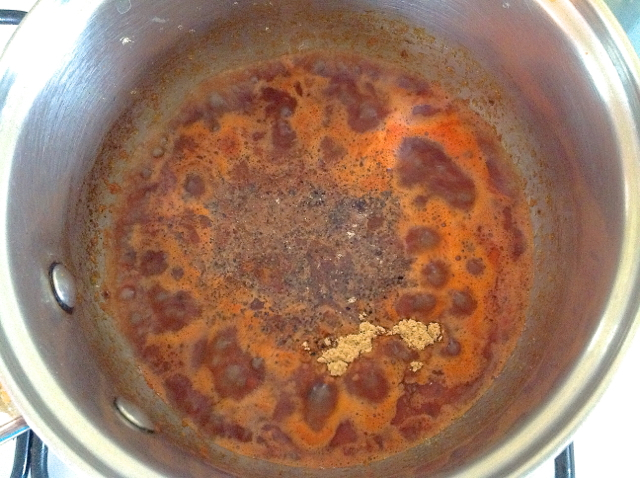 The tomato sauce will begin to thicken. When it thickens, you know it is done. 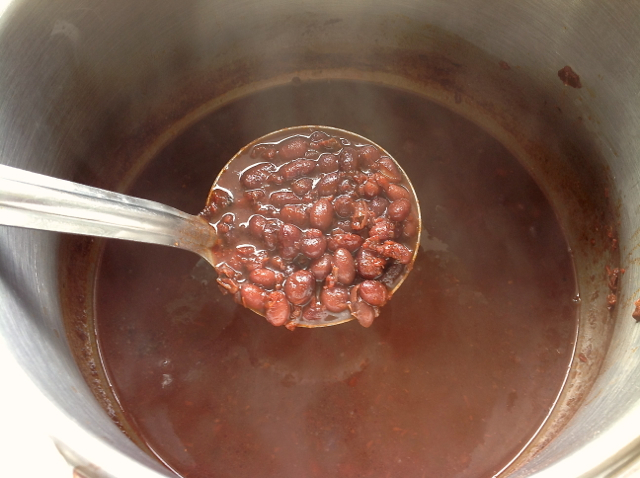 Get the pot of black beans plus the cooking water. 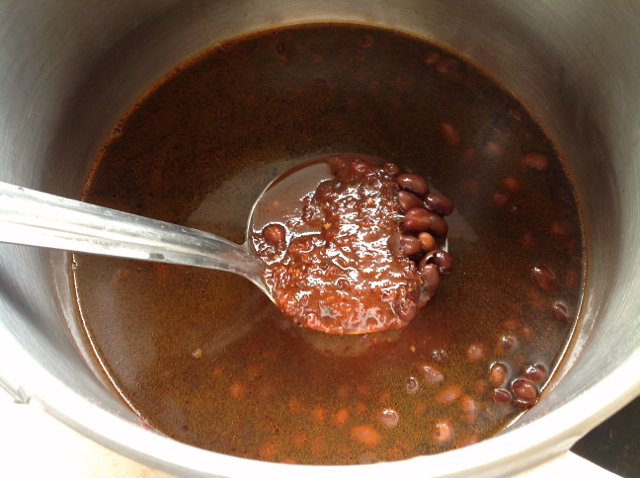 Now combine the cooked black beans with the spiced tomato sauce and cook for another 5 minutes. Here is what it should look like when it is done. Now set aside. 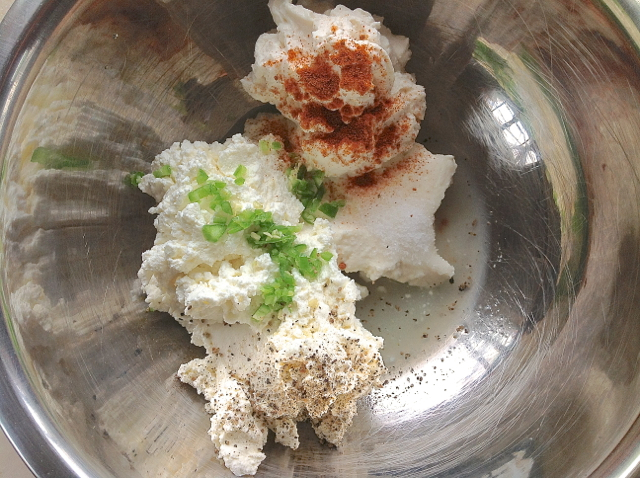 Time to make the Citrus Cream Sauce. 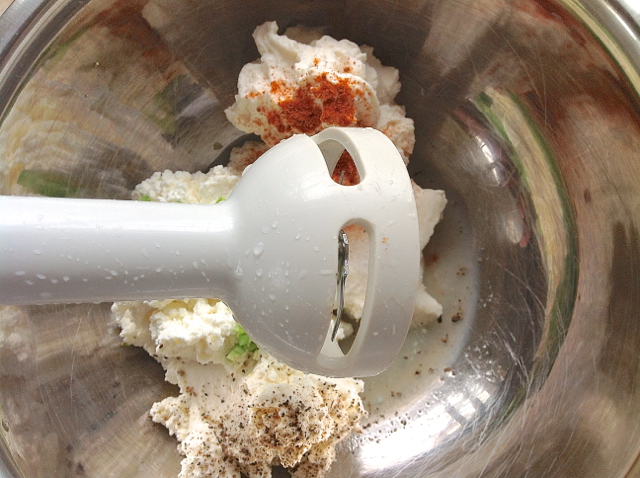 Combine all the ingredients into a bowl and blend with a hand blender until nice and smooth. Here is the consistency you want. Set aside. 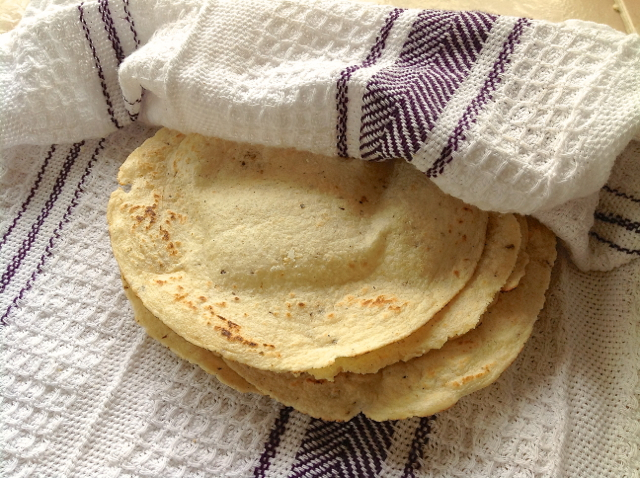 I know that most people can't get fresh corn tortilla where they live, but at least try to make your own homemade corn tortilla with corn flour. 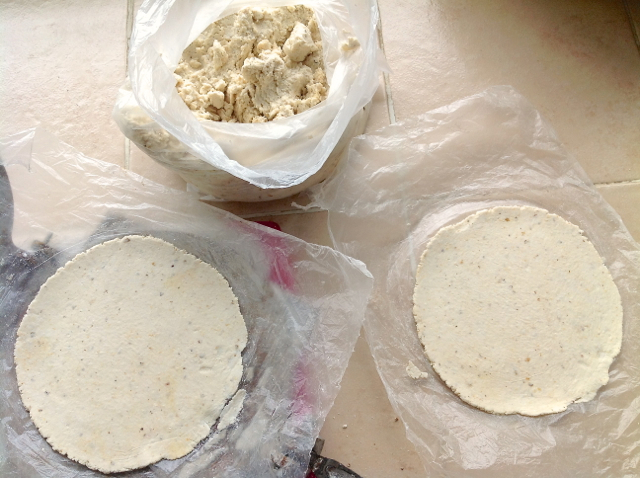 Here are the finished corn tortillas. 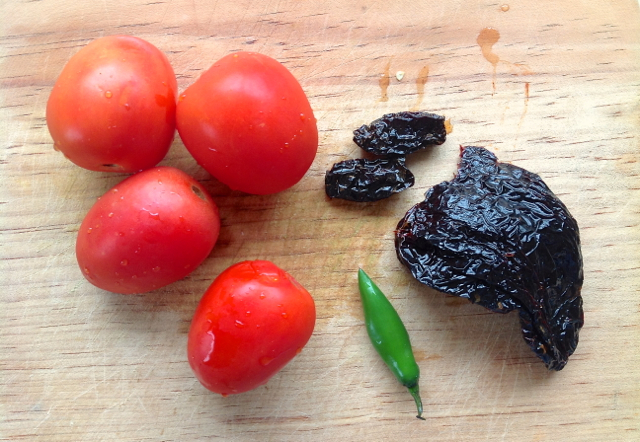 Now you are ready to build the dish. 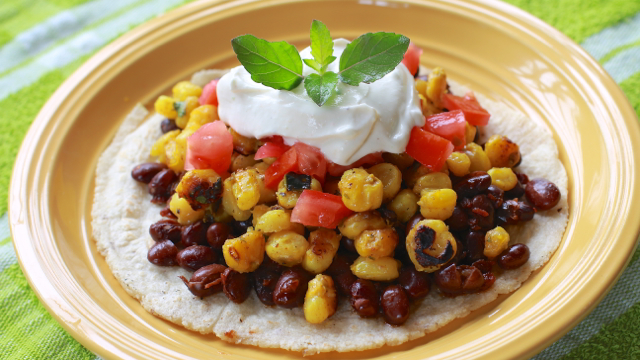 Place a corn tortilla on a plate and pour a scoop of spiced black beans. Then a scoop of grilled corn. Then a dollop of Citrus Cream and some chopped tomatoes. Now you are ready to offer to Kṛṣṇa with love and devotion! How to make an all natural air freshener that not only smells divine but also purifies your consciousness! Baby ducklings just born on the farm! 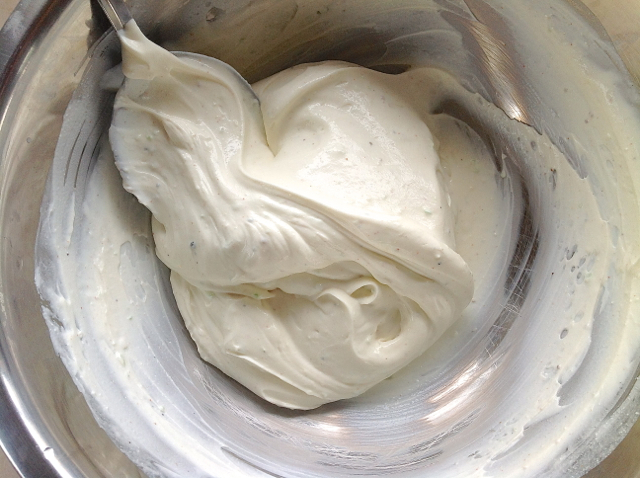 Churning yogurt for making buttermilk and ghee! How to make cow dung bricks. The easiest way to make perfect garden soil!